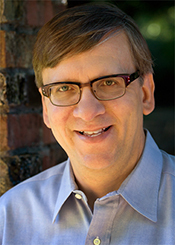 This is YourPatentGuy‘s (aka Michael E. Woods, Esq.) LEGAL DISCLAIMER as required by various bar associations and jurisdictions which may police the information I provide to you on and through this Web site. All information included in this site is intended for informational and promotional purposes only. YourPatentGuy does not guarantee the accuracy or reliability of the content of this web site due to rapidly changing laws and my reliance on outside sources. Documents will include technical inaccuracies, typographical errors and outdated information. None of the information located within the site constitutes legal advice nor should any of this information be relied upon without seeking legal advice from an attorney. This Web site does not create an attorney-client relationship between anyone and YourPatentGuy, The Patent Law Offices of Michael E. Woods or with any of the firm’s attorneys including Michael E. Woods, Esq. I cannot represent you until I know that there is no conflict of interest and until you have formally engaged me and have agreed to pay for the legal services I provide to you. Discussion of any matter for which I do not already represent you is unlikely to be considered privileged or confidential in future legal proceedings. Please contact me directly to discuss the specific facts of your situation and to retain me as your legal counsel. In fact, you agree that any such information you submit without first establishing an Attorney-Client relationship through a signed written engagement letter with me may be treated in any manner I deem appropriate for any reason or no reason at all and I have complete unrestricted use of that information, to be used in any way I want, including publication and distribution. Communication with the firm is welcomed but contact by e-mail should be made with extreme caution as e-mail is not inherently secure. Under no circumstance should sensitive or confidential information be sent to YourPatentGuy without first discussing it with me. YourPatentGuy designates my 887 Humboldt Road, Brisbane, California 94005 address as my principal office and Michael E. Woods, Esq. as the responsible attorney to contact regarding comments or questions about this Web site. My principal office is located in California, the only jurisdiction I am licensed and admitted to practice law. 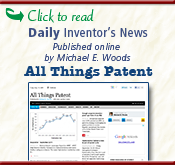 Michael E. Woods is registered with the United States Patent and Trademark Office to provide patent services to my clients. YourPatentGuy does not intend to represent any clients generated by this Web site from jurisdictions where the material on this web site does not comply with the ethical rules governing the content of law firm Web sites. While legal and ethical compliance requirements vary from state to state, YourPatentGuy has attempted to comply with all known regulations regarding law firm Web sites. Determining the need for legal services and an attorney are important decisions and should not be based solely on information found on this website. The listing of practice areas or experience does not state or imply certification as a specialist or expert in a particular area of law by the State Bar of California, or any agencies of any other state. Background information is available for Michael E. Woods upon request at no charge. Listing of the areas of practice does not indicate any certification of expertise therein. Tennessee law, and other jurisdictions, may require that I inform you that this Web site and its content are advertisements. Certifications of Specialization are available to lawyers in various areas of practice, depending upon jurisdiction, relating to or included in the areas of Civil Trial, Criminal Trial, Business Bankruptcy, Consumer Bankruptcy, Creditor’s Rights, Medical Malpractice, Legal Malpractice, Accounting Malpractice, Elder Law and Estate Planning. Listing of related or included practice areas herein does not constitute or imply a representation of certification of specialization (DR 2-101(C)). Certification as a labor and employment law specialist is not currently available in Tennessee. YourPatentGuy is not qualified in any of these areas of practice. Permission is granted to view, store, print, reproduce, and distribute public material contained within the public areas of this Web site as long as the material is used for personal, non-commercial use and is not modified in any way. This disclaimer page must be included with any materials distributed from this site.